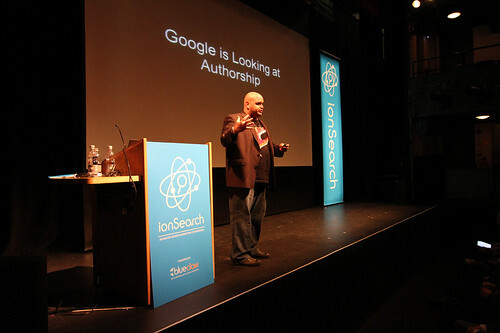 I was lucky enough to speak at the inaugural ionSearch Conference, put on by the lovely folks at BlueClaw. I was speaking on an Expert Panel on "Killer Keyword Research" with Matt Roberts, VP at Linkdex (as moderator), Mal Darwen of WordTracker, and Jimmy McCann of Search Laboratory; and I was asked to step in at the last minute for Kevin Gibbons, and gave my Searchbots: Lost Children or Hungry Psychopaths? What Do Searchbots Actually Do? presentation again (which seemed to go down well enough - thankfully). The conference was multi-tracked, with a main auditorium, a small "expert panel" room, and a product demonstration room - meaning you had to make decisions as to what to see .... I missed Tom Anthony of Distilled who apparently was good. A terrific talk, my favourite quote being that Matt Cutts advice to us all effectively boils down to "build content and pray to god". 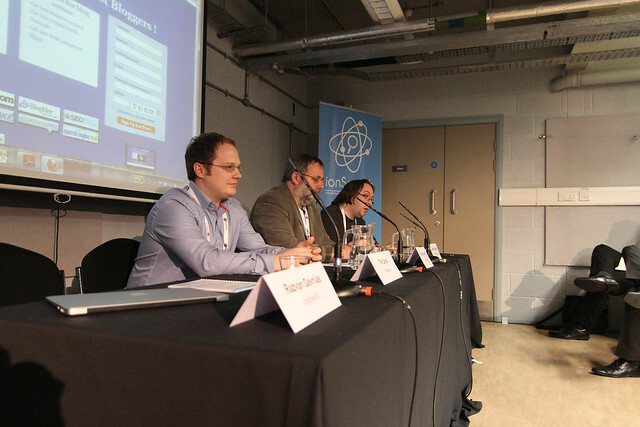 I also enjoyed the "Creative Link Building Tactics" expert panel suite - which consisted of Razvan Gavrilas, Cognitive SEO (moderator), Lyndon Antcliff, Cornwall SEO, Tim Grice, Branded 3, and Andrew Girdwood, LBi Bigmouth Media. Very interesting conversation, mostly along the lines of how to create links through creative content. All in all a great event, various reviews up on the tinternet (find them via #ionsearch on Twitter).